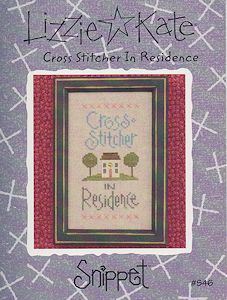 Cross-stitchers unite!!! 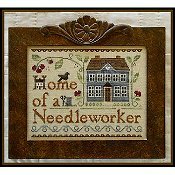 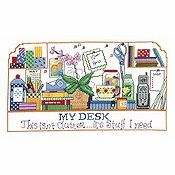 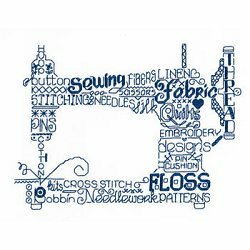 No need to explain the piles of fabrics, flbers and supplies overflowing your house anymore...just proudly display this stitchery! 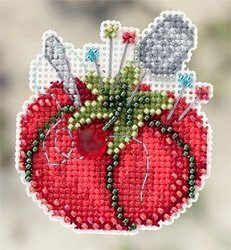 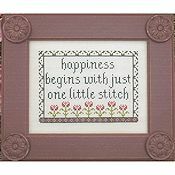 This charming little piece is so quick to stitch, you may want to make one for a friend after you finish yours. 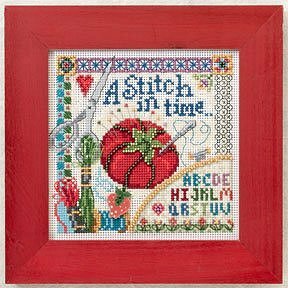 The narrow vertical design would also work well on stitchband, or make a fun mini-banner.